SALEM — Jacqueline K. “Jackie” Matthews, 67, of Southeast Blvd., passed away at 10:35 p.m., Friday, April 12, 2019 at Mercy Health St. Elizabeth Hospital in Youngstown. A 1970 graduate of Lisbon David Anderson High School, she worked at the Little Chapel Daycare in Salem and retired as a private home healthcare aid. 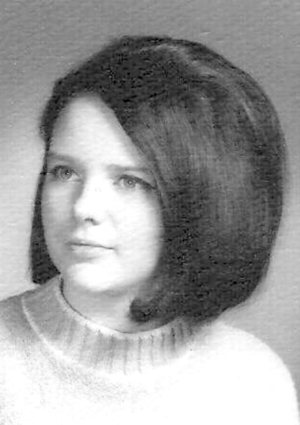 She is survived by her husband, Kim B. Matthews; her daughter, Tonya Burkett of Salem; step daughter, Kimberly Wilkes of Lisbon and Stacey Caldwell of Salem; her sisters, Doris Hoperich and Joanne Morris, both of Lisbon, Bonnie Brautigam of Salem, and Debra Carchedi of Struthers; brother, Ernest Parrish of Salem; seven grandchildren, and a great grandson. In addition to her parents, she was also preceded in death by her sister, Janet Macuich and brothers, Oland Lee Parrish and Richard Keith Parrish. Professional services are in the care of the Eells-Leggett-Stauffer Funeral Home.